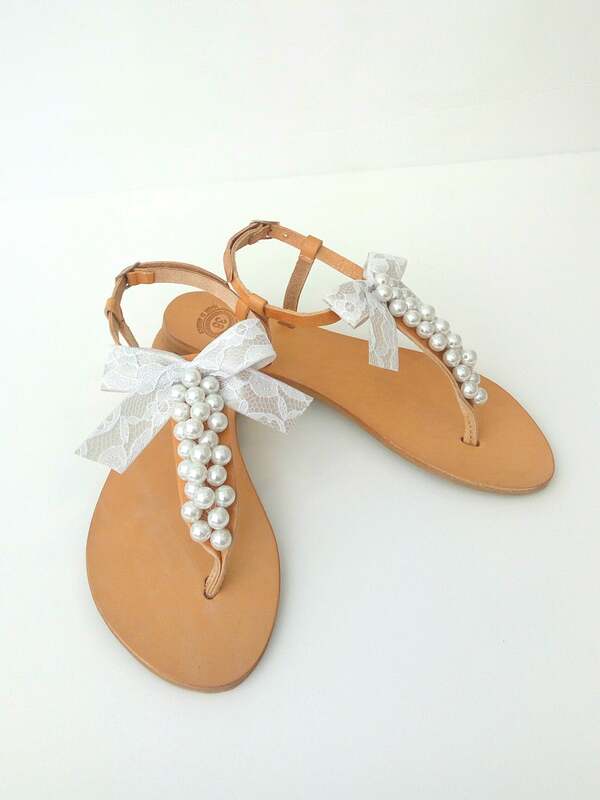 and is decorated with acrylic white pearls and a lace bow. 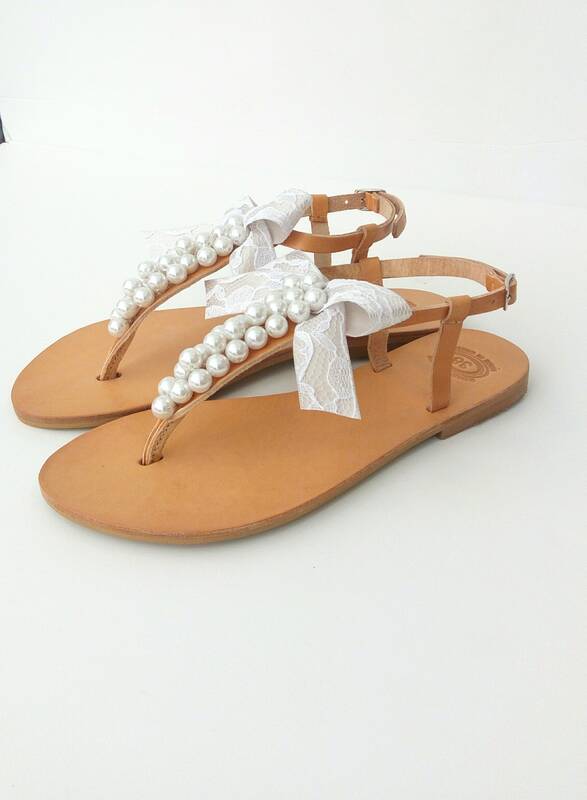 Elegant leather sandals, a must have accessory for the summer. 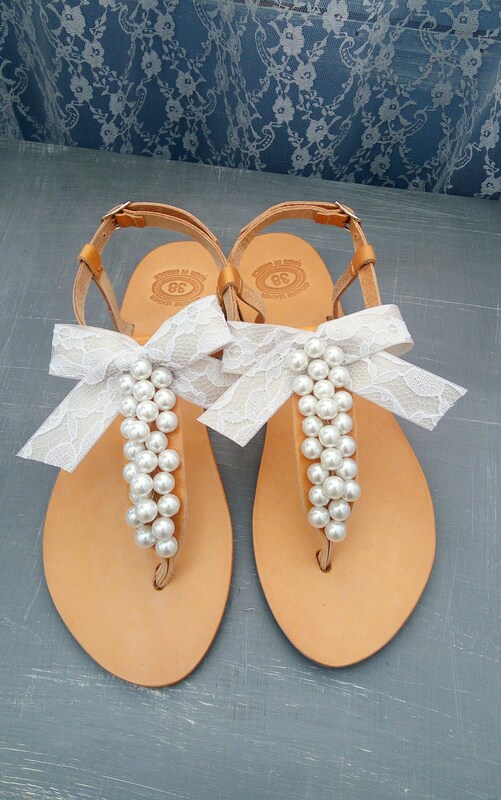 It's a great gift for a bride or your bridesmaids. & wear something special every day. •	All sandals are made of Genuine Greek Leather! 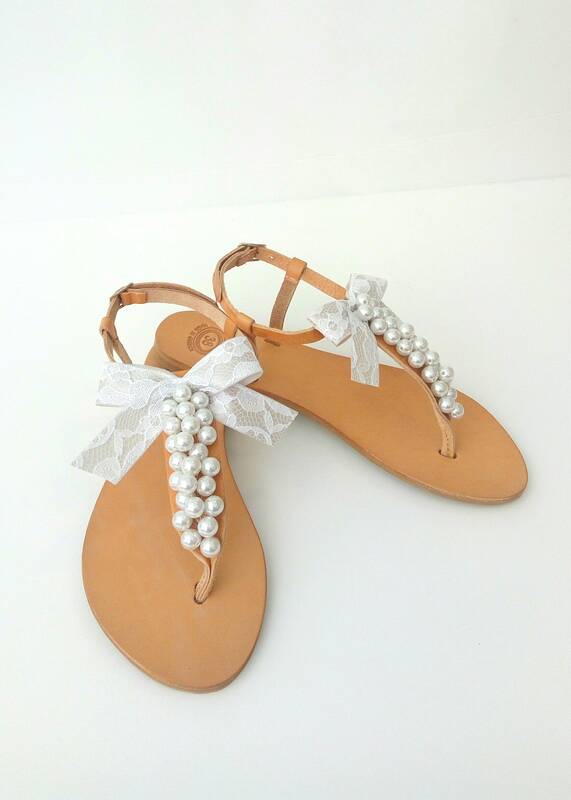 •	The sandals are shipped with a tracking number! 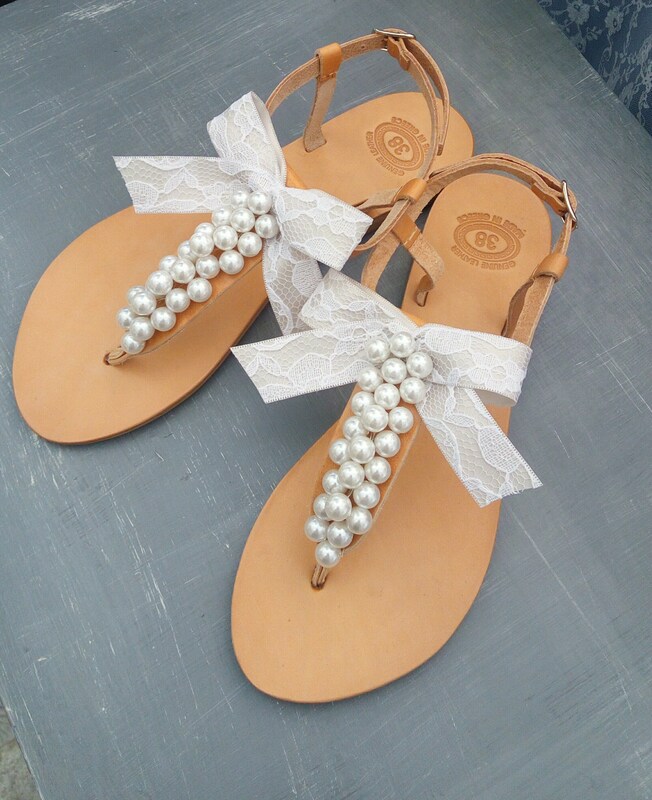 and they get the shape of the foot since the leather is natural. Avoid getting them wet in sea water because they will get very dark and stiff. The natural color may vary from light beige to light brown. it often has some natural marks or light color irregularities. it is absolutely natural. It is not water-resistant.